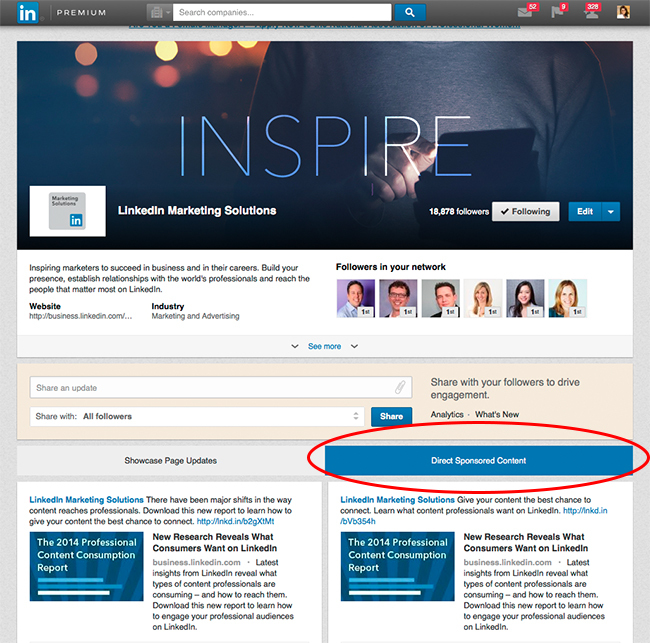 Just a few days ago, LinkedIn launched Direct Sponsored Content, giving advertisers the ability to sponsor content directly in the feed without publishing it on the Company or Showcase Page. 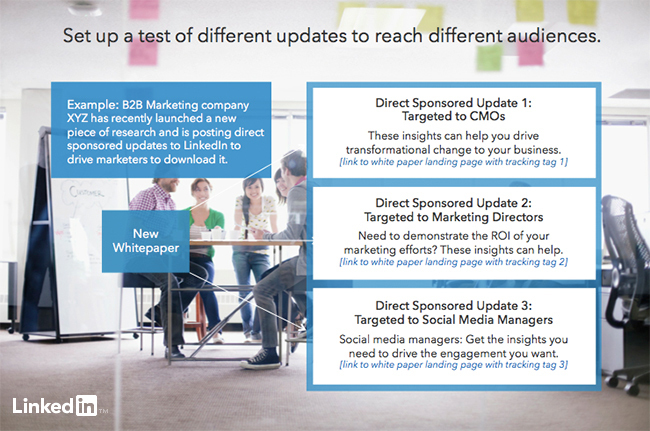 Direct Sponsored Content is a simple yet powerful new solution to help boost your content’s performance on LinkedIn. So, as a marketer, how can you best take advantage of Direct Sponsored Content starting today? It’s easy. Follow these tips to get started and drive greater performance. Remember: Even simple changes can lead to big results. LinkedIn is known for its targeting capabilities. Now, with Direct Sponsored Content, you can reach new audiences with personalized content and offers in the feed, without needing to publish all of these messages direct to your Company Page or Showcase Page. Personalization is a great way to increase the relevancy of your content. By experimenting with different messaging offers in the feed, you can determine which resonates best with your target audience. A good example is calling out your audience by their profession, geography or skills to grab their attention and make the content feel more relevant to them. Below is one way you might approach talking to three different audiences who influence a buying decision. One of the most exciting use cases for Direct Sponsored Content is the ability to test out variations of your messaging with your audience. We recommend creating multiple versions of the same content, modifying it slightly, and testing to see which version performs best. Even a simple change in the headline of your content can provide a powerful performance lift. Test headlines. Your headline is your hook to grab the reader’s attention. Test different options to see what does the job best. Keep in mind: shorter is better, especially given many people will be reading your update on mobile. Test images. A picture is worth a thousand words; but which image unlocks your content’s true engagement potential? Test colorful images to see what resonates. 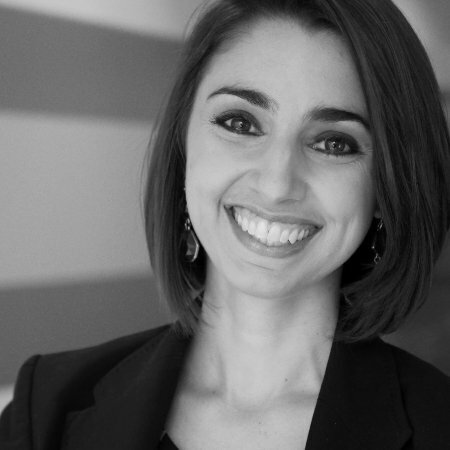 Generally we’ve found featuring people, especially recognizable leaders (like your company’s CXO), in your photos boosts performance. Test CTAs. Some calls-to-action just work better than others; testing your CTA is a simple way to uncover the right message that drives a desired action with your audience. Test copy length. Attention spans are short; we’ve found shorter copy (under 160 characters) is usually best for a LinkedIn update. Test your own messaging to see how shorter versus longer messaging performs. Test content format. It’s generally a good idea to test publishing different content formats -- articles, videos, SlideShare decks -- to see what your audience prefers to engage with. This can also give you insight into what types of content you should be producing more. Test different topics. Your audience likely has a variety of interests; test relevant content on different topics your audience cares about. Again, seeing which post resonates best can inspire future content creation. Now, with Direct Sponsored Content, you can double down on content marketing on LinkedIn without overwhelming your followers or crowding your Company Page. This opens up the door for greater publishing opportunities for your company to realize on LinkedIn. Targeted, personalized content can help boost your lead generation efforts. On LinkedIn, you can find exactly the right people to receive your message and target them with Direct Sponsored Content -- ensuring your message is only seen by those people it’s intended to reach. Direct Sponsored Content allows you to maintain a focused content strategy on your Company Page, while allowing others in your company to start a dialog with their target audience off the Company Page. Local offers and content that may not have previously been part of your Company Page charter can now easily be shared with members in the feed. By targeting to a specific region, you avoid other regions seeing non-relevant messages. Finally, as an admin of your LinkedIn Company Page or Showcase Page, you can easily keep track of Direct Sponsored Content separate from your standard organic or Sponsored Updates using the two tabs on your page. Once enabled for Direct Sponsored Content, you will see this extra tab appear on your page. Note: this will only be visible to admins and NOT to all LinkedIn members. For example, below is a screenshot of how our LinkedIn Marketing Solutions Showcase Page appears in admin view. We hope these tips are helpful and inspire you to start testing your content on LinkedIn today. Ready to dive in? Contact us here to get started. Already a LinkedIn Marketing Solutions customer? Contact your account executive to start leveraging Direct Sponsored Content for your next campaign.